The one and only. Creator of Nancy, Sluggo and Fritzi Ritz. 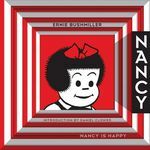 At the opposite end of the comics spectrum from Kirby's epic we have the second volume in the Fantagraphics project to collect the complete run of Nancy daily strips by Ernie Bushmiller. 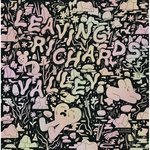 As with the first, this volume presents three full years worth of the definitive newspaper comic strip meditation on the quotidian. Nancy Like Christmas collects the entirety of the dailies published in 1946, 1947 & 1948 – save for two strips, which they were unable to track down! This volume also features an introduction by Zippy the Pinhead creator, Bill Griffith. A staunch defender of Bushmiller's value as a cartoonist, Griffith has repeatedly ridden to his defense bearing Nancy's standard. After reading his eloquent introduction to this volume a renewed (or newfound) respect and admiration for Bushmiller will blossom in every reader. While we don't know – but can certainly hope – whether or not Bushmiller would be able to appreciate the manner in which Zippy embodies and articulates the absurd, it is nonetheless certain that Zippy is informed by insights Griffith has gleaned from Nancy. So, get ready for another three years of archetypal continuities featuring those pen and ink paradigms, Nancy and Sluggo, written and drawn by that master of panelogical rhythm, Ernie Bushmiller. Yes, we still have (a few) copies! What more can be said about Ernie Bushmiller's Nancy? 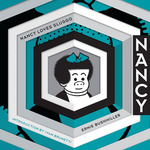 It is that it is: Nancy is Nancy is Nancy (and Sluggo, too, as evidenced by this volume's exegetical cover design, which serves to graphically enlighten us as to Bushmiller's essentialist credo). Apparently quite a bit, as Mark Newgarden and Paul Karasik have been laboring mightily for decades to complete what even then may not be the last word, the 240 page, How To Read Nancy (due out in 2015 [in theory; this one's been delayed so many times we've lost track]; for now, we direct readers to the short essay that started the whole thing). So, anyways, what we have here is another three full years of Nancy Dailies that flowed from the mind and pen of Mr. Ernie Bushmiller and into countless millions of newspapers throughout America (and, surely, elsewhere around the world, as well) during the years 1949, 1950 and 1951. This collection is preceded by an introduction by cartoonist, comics scholar and noted Nancyologist, Ivan Brunetti. Enjoy!